Three people have been wounded in a Copenhagen shopping center shooting incident, according to Danish media quoting the police. #breaking Vagthavende ved Københavns Politi bekræfter overfor TV 2, at der er affyret skud i shoppingcenteret FIELDS i København. Local TV 2 spoke to a witness who said security forces were in the building, with weapons drawn. "The guards shouted at us to get to safety, because there was shooting," the witness said. The shooting was reported to have happened in the shopping center's car park at around noon local time. Eight people were responsible for the violence at the Fields shopping mall, and they appear to be “two groups who clashed,” Michael Andersen of the Copenhagen police told the Rittzau news agency. 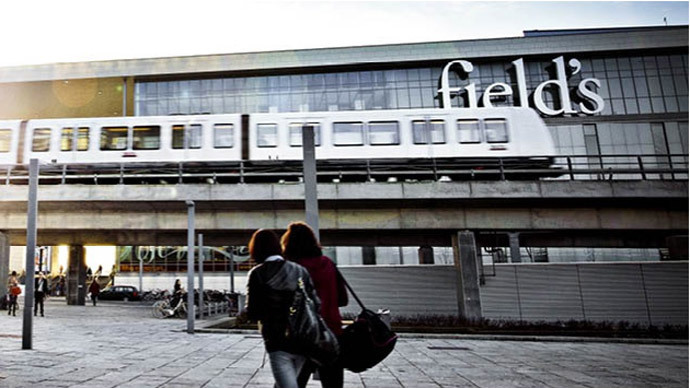 Fields is in the Danish capital’s Amager district and is not only the largest shopping center in Denmark, but one of the biggest in Scandinavia.